Thank you to all who entered and everyone who stopped by to visit us and hang out at the Kids’ Pet Club (we ended up giving out 10+ passes). We had a blast and met so many cute pet pals and pets (and pet rocks). We will be posting the photos and videos later this week. The Canadian Pet Expo is a true pet lover’s experience with fun interactive events, fashion shows, contests, demonstrations, vendors, rescues, and workshops. We’ll be there with some of our talented celebrity pet friends and ambassadors filming and taking photos for Talent Hounds and our new Kids” Pet Club. See all the fun activities and additional opportunities to win lots of prizes under Kids’ Pet Club. Now you can enter the contest to win Free Family Passes to bring your family including the dog. Plus see all the fun activities for kids and additional opportunities to win lots of prizes at our very own live Kids’ Pet Club. 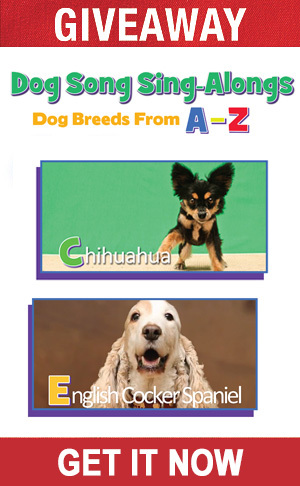 We will also be casting for kids and pets for voice talent, a new TV pilot and more videos for Kids’ Pet Club. Plus we are always looking for Rescue dog stories for Talent Hounds. The contest opens August 30th at 9.00a.m. and runs until September 7th, 2017 at 5.00pm. We will draw for one pass on Tuesday Wednesday and Thursday. 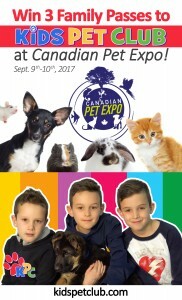 Three family passes to Canadian Pet Expo on any day September 9th and 10th weekend at the International Center near Toronto Airport. Potential winner will be chosen by 3 random draws at 5pm Tuesday5th Wednesday 6th and Thursday 7th.. The tickets will be provided to the winner by Canadian Pet Expo directly. Open to residents of Canada and US of the age of majority, where legal. Not valid in Quebec. 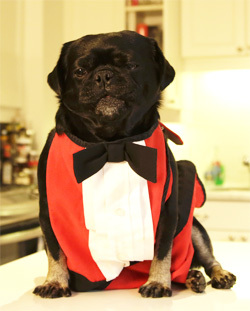 Profits from any donations or products sold at the Booth will be given to Homeward Bound and PugALug Rescues. There are so many great activities, shows, experts, and vendors for the whole family including the pets. We get to see lots of friends and make new ones. Each year the Canadian Pet Expo along with the sponsors, vendors, attendees and friends dedicate their efforts in raising funds to support those in the family pet world that sometimes need help like rescue organizations and service dogs. Their 2017 campaign supported our friends at National Service Dogs who do amazing work. See the story of NSD Iggy who will be working with Boost helping young victims of abuse.